*** Database/User has been modified. 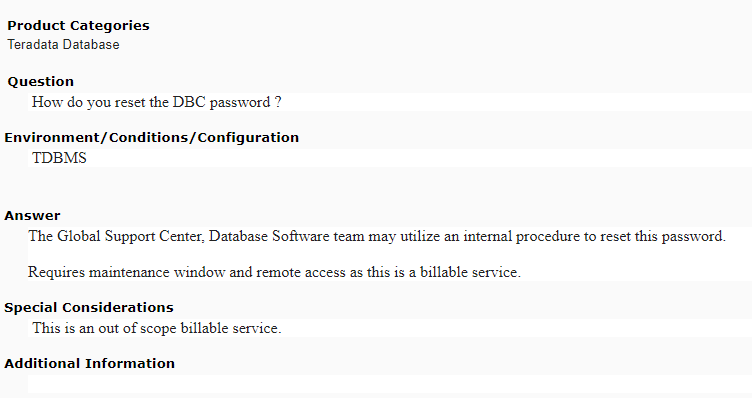 If you have forgotten your dbc password then you will need to request Teradata Global Support Center, Database Software team to reset dbc password. They may utilize an internal procedure to reset this password. Therefore, careful to keep your password safe in repository so you don’t forget current password as Teradata will charge money for reset password and it also require maintenance window.